The recent release of Donald Trump’s 2005 tax return has been getting a lot of attention. Everyone is looking at the larger numbers, but we’ve noticed what’s not on the return. Look at line 62 on page 2 of the 1040. 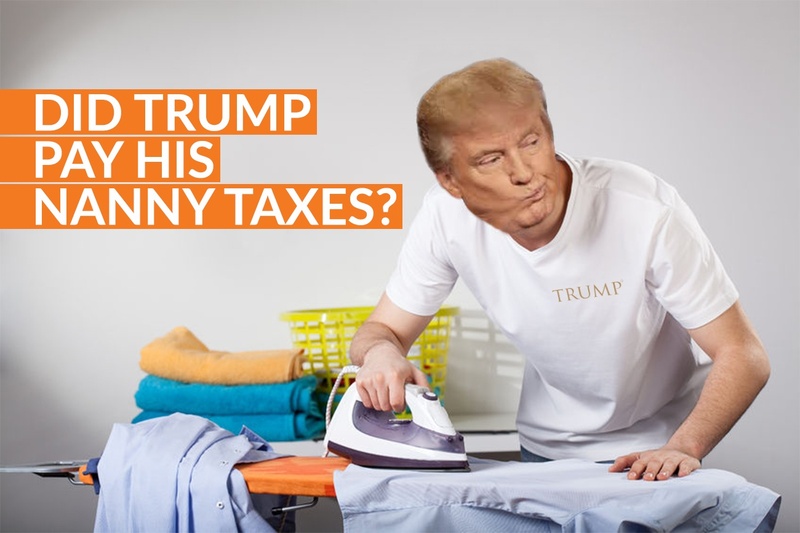 This is where the Schedule H information would be seen if President Trump had paid household employment taxes (the so called “nanny taxes”) with his personal tax return. This number would show the amount of tax he paid on the salaries of his household staff. With a household staff as large as his, one would expect that number to be substantial. Babysitter Taxes? Really? What's in a word? Many families have a regular babysitter or nanny, or even a babysitter to help over school holidays. This extra set of hands caring for your children allows you to meet your obligations professionally and as a parent. Do you pay your babysitter or in-home childcare provider cash, thinking this is just babysitting and never considering payroll taxes? 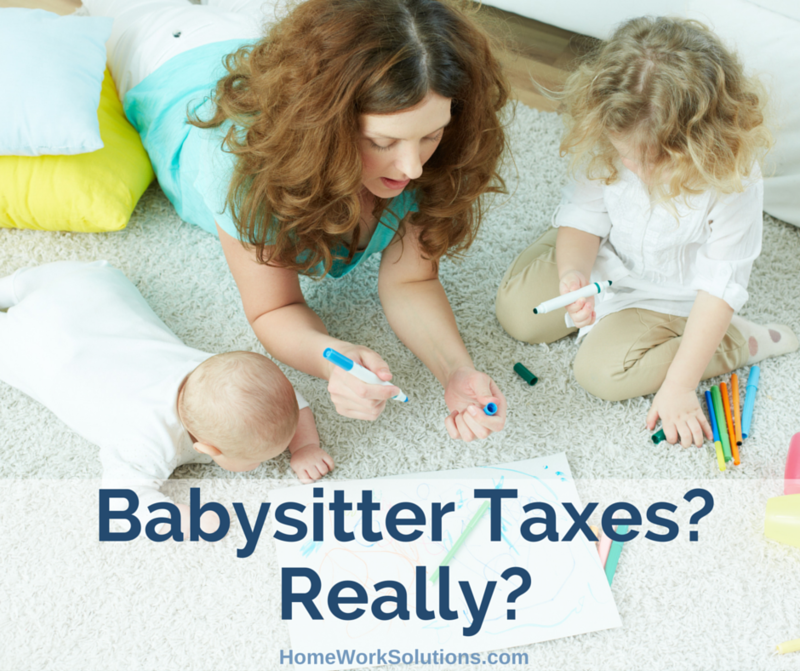 Have you wondered if babysitter taxes even exist? They do – and if you fail to pay them and the IRS finds out, this could result in some hefty penalties or fines. But, don’t panic right away. If you pay your babysitter less than $2000 a year (2016), you will be exempt. But, if your babysitter is 18 or older and you end up paying more than that amount, the IRS will consider this a household employment situation and you will need to calculate babysitter taxes into your budget. HomeWork Solutions is a leading national nanny/household employee payroll and tax company. We work with thousands of families, and hear and respond to the same questions/concerns over and over again. We want to take the opportunity to share this information with you through this easy to follow Q. and A. Personal finance expert Jane Bryant Quinn recently discussed the "nanny taxes" on the popular TV show The Street - stressing that these are not just for nannies! We have posted often about the obligations of families who hire cleaning ladies, maids, and senior caregivers to report and pay the employment taxes. The IRS recently announced an IRS Nanny Tax amnesty program, promising stepped up enforcement going forward. Nanny Tax Amnesty - Prelude to IRS Enforcement? Federal legislators are scrambling to raise revenues and lower expenses to reduce deficits, and the Internal Revenue Service (IRS) is under considerable pressure to improve tax collections. Employment taxes, including the "nanny taxes", are estimated to be undercollected by $73 -78 Billion per year. The IRS reports that audits of tax returns with income over $200,000 increased by 13% in 2012 over the prior year. The Wall Street Journal's Market Watch recently published advice on 5 steps to take to avoid an IRS audit on your Federal income tax return. We have a regular babysitter. Do I have to report taxes? Q. We have a regular babysitter. Most weeks she watches the children 3 afternoons/evenings a week, just until I get home from work, so my wife can attend classes. We only pay her $200 a week. I have heard about "nanny taxes" but since she is not full time or a real nanny, that doesn't apply to me, right?